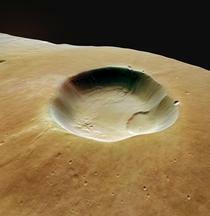 This picture was taken by the HRSC in color and 3D in orbit 32 on 19 January 2004. 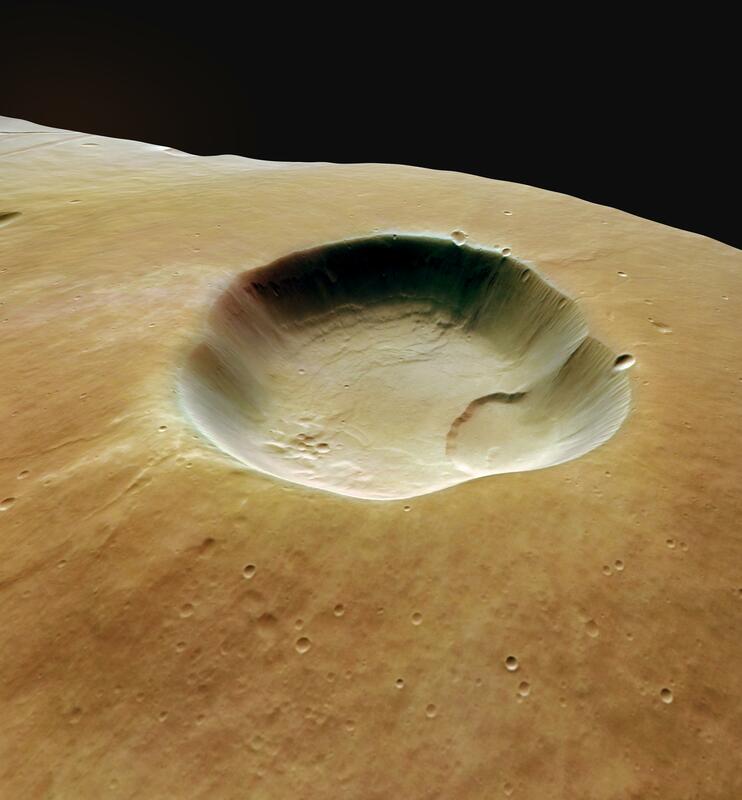 It shows a three-dimensional oblique view of the summit caldera of Albor Tholus, a volcano in the Elysium region. 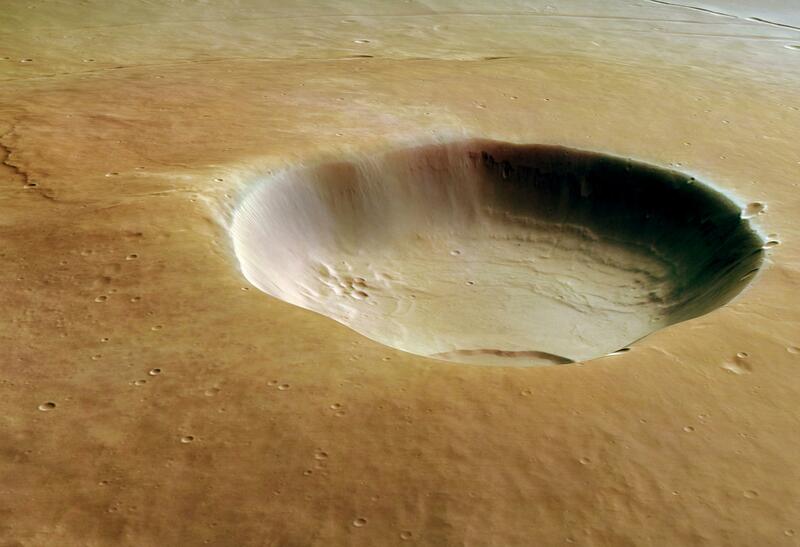 The caldera has a diameter of 30 km and a depth of 3 km. The volcano as a whole has a diameter of 160 km and a height of 4.5 km. This is geologically interesting, since the depth of the caldera approaches the height of the volcano, which is unusual on Earth. On the far left rim of the caldera, a bright "dust fall" seems to flow from the surrounding plateau into the caldera.